The DOTCOM Waste project is creating a High-Level Advisory Board (H-LAB), consisting of eight key external stakeholders and end users involved in the fight against illicit management and illegal trade in waste. The main aim of the H-LAB is to provide advice on the specific needs of the end user community, review the planning of activities, offer technical insight, and assist in the dissemination of project’s results with the larger stakeholder community. The H-LAB will also play a fundamental role in validating the training toolkit and materials developed during the project. 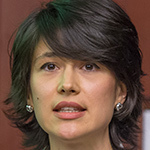 Ioana Botezatu is managing the Strategic Development Unit of the Environmental Security Programme at INTERPOL, under the Organized and Emerging Crimes Directorate. Previously, Ioana coordinated the Countering WEEE Illegal Trade (CWIT) project, an initiative funded by the EU Commission, and formed by a consortium of unique diversity and cohesion, including UNU. Since she joined INTERPOL in 2010, she managed a number of teams in the field of environment, including Project Predator designed to support good governance and enhance law enforcement capacity for the conservation of wild tigers and other Asian big cats. Ioana holds two Master’s degrees on Sustainable Development and International Relations and in Business Communication in a Multicultural Environment. She is a graduate of the International Economic Relations Faculty at the Academy of Economic Studies of Bucharest. INTERPOL is the world’s largest international police organization, with 190 member countries. The organisation’s role is to enable law enforcement around the world to work together to make the world a safer place. INTERPOL’s high-tech infrastructure of technical and operational support helps meet the growing challenges of fighting crime in the 21st century. 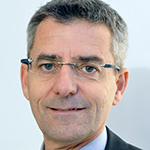 Marc Clément is administrative judge at Administrative Court of Appeal of Lyon (France). 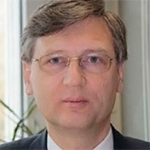 In 2014 he was appointed Member of the French Environmental Authority (http://www.cgedd.developpement-durable.gouv.fr/l-autorite-environnementale-r145.html) and in 2015 appointed Member of the Commission for deontology and ethics of IRSN (French Nuclear Safety). He was, from 2006 to 2012, lawyer at the Directorate General Environment of the European Commission in charge of infringements. He was from 2004 to 2006, legal adviser of the European Environment Agency (Copenhagen). He was previously judge at the Administrative Court of Lyon and started his career as researcher for private companies (Lyonnaise des Eaux, EDF). He is a Member of the working group “Environment” of the Association of European Administrative Judges (www.aeaj.org), President of the Natural Resources and Energy Section of the Société de Législation Comparée (www.legiscompare.fr ) and Founding Member and Member of the Council of the European Law Institute (www.europeanlawinstitute.eu ). He is member of experts groups of the European Commission in the domains of Access to Justice and Training of Judges in Environment. Matthias Kern is Senior Programme Officer in the Technical Assistance Branch of the Secretariat of the Basel, Rotterdam and Stockholm Conventions. He has the lead for identifying and establishing, or further strengthening, partnerships and international cooperation related to technical assistance that address priorities of the Conferences of the Parties. He is German national and started his professional career as Research Associate at the Plant Protection Institute in Goettingen, Germany before he joined the German Technical Cooperation (GTZ) in 1986, where he worked in the field of pesticide and industrial chemicals handling and use, regulation and technical assistance for the implementation of international chemicals conventions. In 2005, he was appointed Senior Programme Officer for Persistent Organic Pollutants (POPs) and other hazardous chemicals in the UNEP Division of Global Environment Facility (GEF) Coordination in Nairobi, where he coordinated the UNEP GEF projects related to toxic substances. From 2009 to 2012, he was Head of the Implementation and Capacity Building Unit in the Secretariat of the Basel Convention. 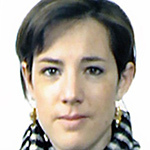 Vittoria Luda di Cortemiglia has over 15 years international experience in research and analysis and project management. From 2001, she worked at the Interregional Crime and Justice Research Institute (UNICRI) where she managed a number of applied-research programmes in the field of illicit trafficking and emerging crimes, including environmental crime, cybercrime, counterfeiting, and trafficking in persons, and corruption. She is a Law graduate at the University of Turin, and holds a Master degree (MA) in International Relationships and Diplomacy and the “State of New York Certificate of International Law and Diplomacy” at St. John’s University, New York. 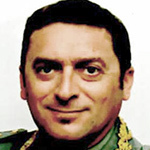 Marino Martellotta is an officer (Lieutenant Colonel) of the State Forestry Corps; in particular, his function is of Provincial Commander of the Taranto province. Previously he was Head of the Investigative Unit of Environmental and Forestry Police (Environmental Crimes Intelligence Unit) in Bari, where he conducted important investigations in the field of waste trafficking under the direction of the Prosecutor’s Office of Bari, as well as managing the implementation of the Convention on International Trade of Endangered Species (CITES). Marino has a Law Degree from the University of Bari and a Masters in Science of Environmental Security from Sapienza University of Rome. The State Forestry is an Italian police force which specializes in countering environmental crimes (e.g. forest fires, pollution and illegal waste management), the protection of flora and fauna, controls of agricultural and food production and all aspects relating to the protection of nature. Halina Güldiren is working as a Technical Officer/ Analyst for the Regional Intelligence Liaison Office Western Europe under the umbrella of the World Customs Organization Network. She is a Finance graduate at the Federal University of Applied Science in Germany and worked in departments of the German Ministry of Finance. She gained profound knowledge in the field of databases and analysis during her work in the IT Center of the German Customs Authority and in the field of crime investigation during her work in the German Head Investigation Office. Before joining the RILO WE, Halina was working as an Analyst at Europol in Den Haag. Presently she is responsible for data analysis of all Customs seizures worldwide in the area of Drugs, Currency IPR, Cultural heritage, CITES & Environment, Tobacco. Halina is convinced that for the fight against organized crime, it takes a serious customs network of national and international contacts and the exchange of qualified information. Thus she is motivated to contribute her part and do her level best to strengthen the awareness of the RILO WE within Member States by increasing current operational data and products, which can and should be made available. Laith Yasseen is Senior Field Intelligence Officer with the National Enforcement Service, which is part of the National Services E & B, of the UK’s Environment Agency. 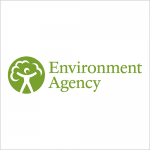 Allison Townley works with the Northern Ireland Environment Agency (NIEA) and is member of the European Union Network for the Implementation and Enforcement of Environmental Law (IMPEL).